We'll schedule a special time for your group to have a private tour, whether it's your school class, scout group, Sunday School Class, club, or your family. We are closed January and February for cleaning and new exhibits. We will re-open on March 1 with our new exhibits. Our regular hours are Fridays and Saturdays 11:00 am to 3:00pm. Watch this space for pictures of what’s to come! Schedule a Special Tour for Your Special Group! We provide private tours for schools, clubs and church groups, scouts and other groups. Want to know more about our county? How and when did it begin? Just a tidbit: 1824. And that’s all you get until you visit this intriguing museum! Who was the first sheriff to live in this building? What did the sheriff and his family do to entertain their guests? When did your town begin? How did the prisoners get their meals? Is there anyone still living who lived in this building? If your school class, scout group, Sunday School Class, club or even a family, would like to take a tour, we can schedule a special time for your group to have a private tour. 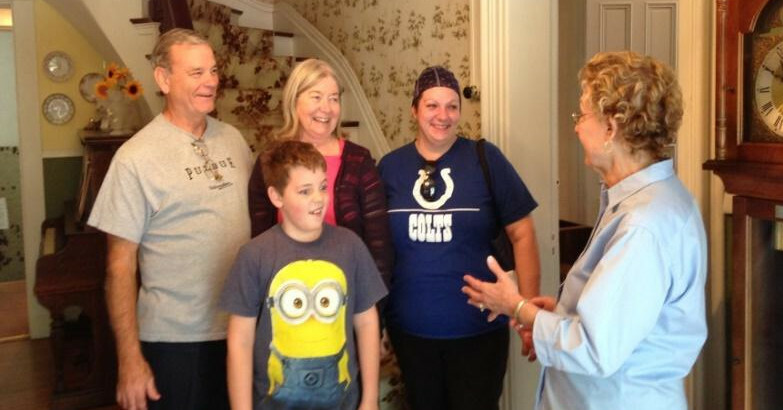 Our well-trained docents will lead you through the life of the families who lived here. Then, you can visit our military room filled with artifacts of each of the wars that our citizens were involved in. You never know – you may even find a relic from your own ancestor! To schedule a tour, you can either fill out the form below, or contact Sally Lawson at 317-745-4784. When we receive your request from the form below, we will contact you to confirm the time and date.